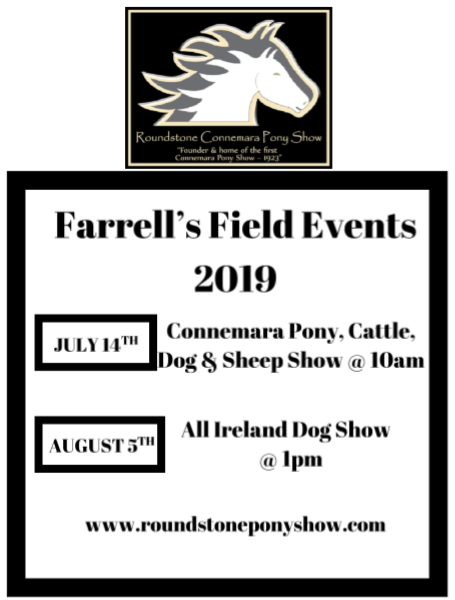 Welcome to our website, here you can learn all about our events which take place annually at Farrell's Field in Roundstone. We have an exceptional Showground; a dedicated and hard-working committee; and a list of honest, impartial Judges who do not personally know the competitors or ponies. We are collaborating with the Irish Shows Association to leverage their support and the benefits that being part of such a group brings. Without their support and guidance small rural shows such as ours would not be able to survive. whom these events would not be possible. Many thanks to those who continue to support us so generously.